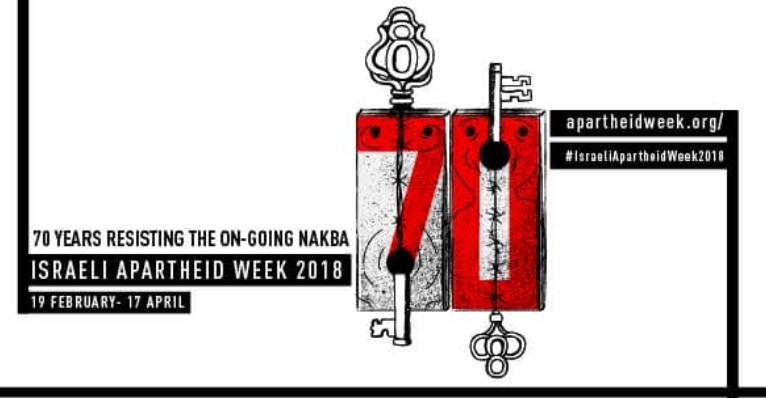 The MJC fully endorses and supports Israeli Apartheid Week(IAW) which commences on Monday, 12 March until 18 March 2018. The MJC further endorses and supports the ANTI-RACISM WEEK which will run concurrently from the 14 March until 21 March 2018. The MJC calls upon our South African compatriots and countrymen to commit themselves towards the human values of justice, peace, equality and commit themselves to human dignity and respect which are deeply entrenched in the glorious teachings of Islam. Muslims should therefore be leading our South African fight against all forms of racist tendencies and prejudices which we acknowledge are unfortunately woven in our attitudes and behavior. The MJC calls upon our community to make a significant paradigm shift towards embracing all people from all communities as did the Noble Prophet Muhammad (Peace be Upon Him); and to engage and interact with everyone with the utmost respect and dignity they deserve. In the International arena, the Palestinians continue to live under the most oppressive and repressive system of Israeli aggression. They face continuous, atrocious crimes, systematically committed against them by the illegal Apartheid Israeli state. Other than the total elimination and destruction of the Palestinian people, the Israeli Apartheid state has further intensified their system of injustices against Christians and non-jewish African migrants by expelling them in recent weeks. Our urgent appeal to every Imam is to highlight these matters in the coming week and to speak clearly to and about these pertinent points at all your congregational events like Jumua, after Maghrib Dars, Khatmul Quran programs and other community gatherings. WE MUST NOT BE SILENT for then we might be regarded as being complicit in the face of these atrocious violations. LET’S STAND UP and let us be on the right side of history by standing in solidarity with all. victims of these injustices and prejudices. LET SPEAK OUT as we are compelled to do as Muslims. The MJC is appreciative of all the wonderful groundwork being done and make Dua (prayer) for prosperity and strength to continue the noble work serving the cause of humanity.